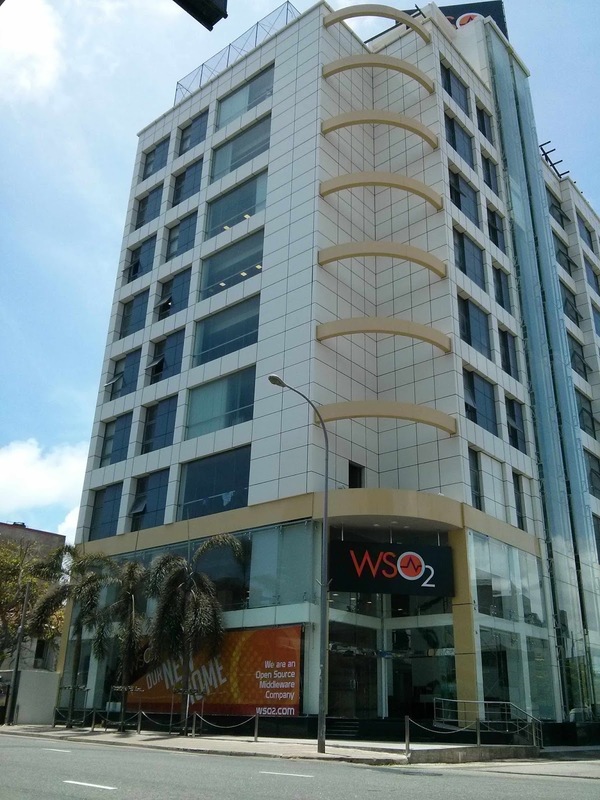 The most awesome thing is that we will all be in one building again in Sri Lanka! That's after more than 3 years when we started adding new offices .. we had three here until yesterday; today we have one! We still have quite a bit of work to do to finish everything .. including a nice surprise coming in the front at the street level :-). The cage you see on the roof is our enclosed rooftop basketball court! The rest of the roof is taken up by the gym and the creche - will take another month to be fully ready. I'm waiting for the punching bag. Today's not our official opening day - that's next Wednesday with Paul Fremantle also present. We are moving in today however and will have a small ceremony (lighting the lamp and kiribath table). Its taken just over 8 years of incredible hard work by a super team of passionate people to get us here. Thank you to everyone who made it possible - including our customers, investors and of course the killer (past and present) team! This is only a small step along the way however ..
Congratulations Sanjiva and the team. We all are so proud of your achievements. Keep inspiring our youngsters!!! wow great achievement WSO2,wish you all the very best..
Best wishes to Sanjiva and the team. Congratulations. New building looks awesome. Congratulation!!! An eye catching building I would say!! You are a treasure for my country, highly valuable & respected person. I’m pleased to comment about you. Congratulations.... This is a great success story.